Feel like you have the power of fire in your hands with this pool cue from Viking. Beautiful black cherry stained curly maple forearm s.
Lifetime warranty on Viking cues equals peace of mind. Check out this full length graphic on this Viking Dragon pool cue. Vikings were known as barbarians that would pillage all the villages they came across. It took some serious weaponry to achieve the level of ruthlessness that they came to be known for. You too can be the viking of your pool hall with this Viking V176 Break Jump cue. This cue will be your weapon of choice to dominate the racks with its phenolic tip and V Crush shaft. 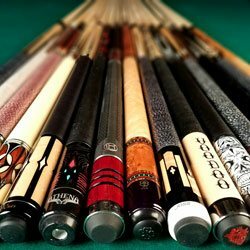 Backed by its lifetime warranty, this cue is sure to be around forever, unlike the vikings.